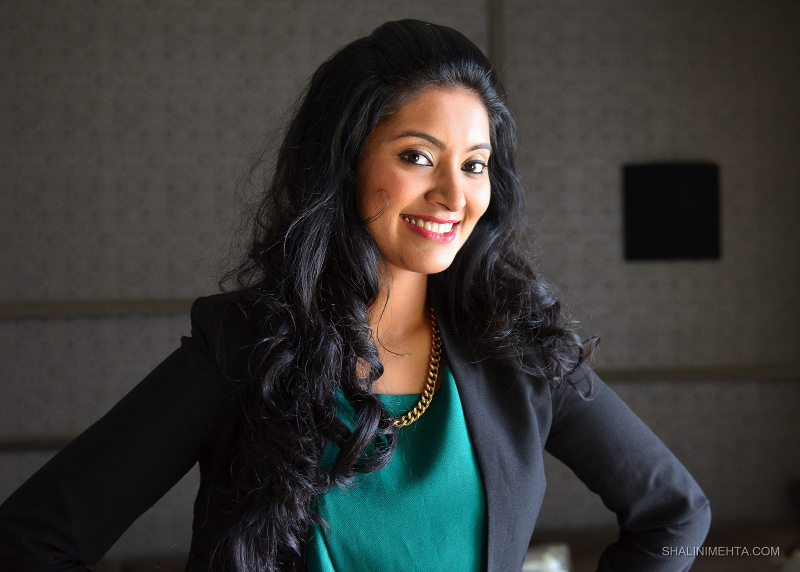 I've known Greeshma for quite sometime now and have also had a tete-a-tete with her for our website about the business of Image Consultation. She exudes so much energy and confidence and such positive vibes, I knew we will be working together again and very soon. The good apart about her is she is game to trying new things which gave me the idea of styling her in clothes that she normally wouldnt wear. Also, working out conventional corporate wear to bring out a different facet to her personality. I always see working women esp. 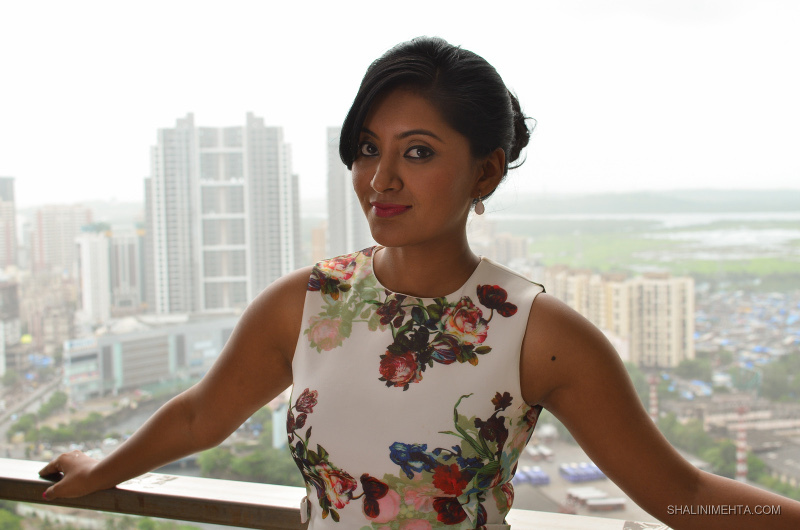 in corporates, either dressed up too 'proper' or too boring. They need to realize that there are a million ways to dress your profession and yet cut a stylish image, which is exactly what I have shown in this style shoot. Just by adding a belt to your dress, you can get a well-defined waist line. A bright colored bag can totally uplift your entire look. And sometimes you take chances and team unconventional pieces together and the results can be so excitingly beautiful. 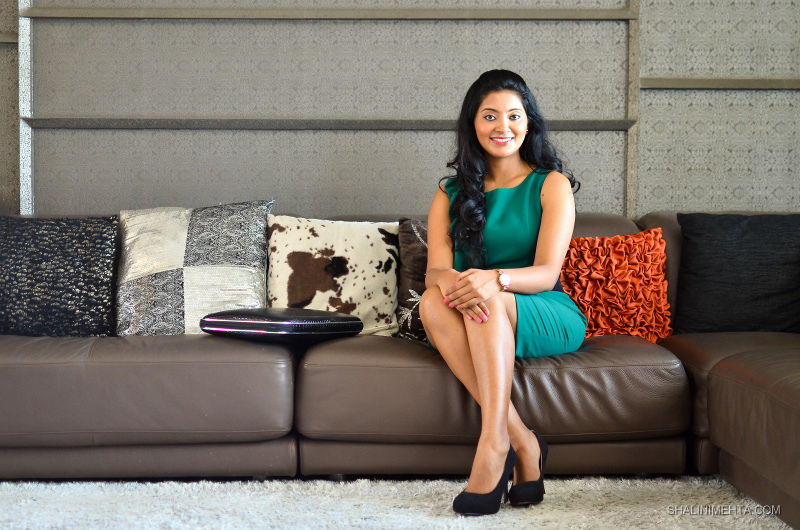 I decided to use Van Heusen Women for this shoot, a brand that is a perfect example of smart corporate wear. And there could have been nothing better than Accessorize to give the looks a touch of finesse. An hourglass dress is just right for a conventional meeting. But you can always add a belt or a stylish laptop bag to complete the look. For a luncheon, take the liberty to dress up more casual yet chic. 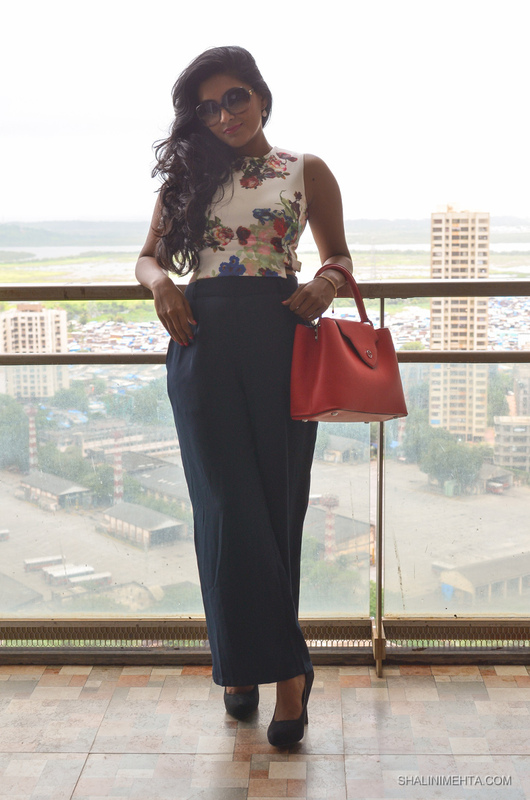 Go for palazzo pants and balance them with a fitted top. Finish the look with a bright colored bag and a pair of sunglasses. A fitted skirt with collared shirts looks both stylish and glamorous and can take you from day to evening. Works great for an evening with business clients. Gives you just the right amount of formality. Hope you find these style tips useful. See you again with some more style shoots.